This website began in the 1990’s as a short broadcast after the radio program called the Hour of Mercy produced in Houma, Louisiana that aired on Radio Maria in Alexandria, Louisiana during the mid-1990’s. Something was needed to fill in remaining time before upcoming station breaks. We used varying numbers of events to fill in a certain amounts of time after each program. As the Hour of Mercy program came to an end, it was obvious there was a continuing need to inform Catholics about events in their particular home areas that were multi-parished in nature. It had been discovered that many times Catholics did not find out about unique and interesting events in their own home areas until after it had happened. A blog was then commenced to attempt to meet that specific informational need. In 2014 it became obvious that a blog no longer met the expanding needs of these unusual and rapidly developing times in our faith walk. Catholics across South Louisiana wanted to network not only in regard to upcoming events but over matters of faith. Since “Time is of the Essence” in these matters, the Spiritual Bulletin Board of Louisiana became a full website that could be accessed 24/7 in 2014. This website is constructed and produced from Houma, LA that is within the land area (but increasingly the water area) of the Houma-Thibodaux Diocese of South Louisiana. It supplies links into third party websites/pages authored and published by the Houma-Thibodaux Diocese and/or other Louisiana dioceses and/or other Catholic social media sites of interest - generally in Louisiana. This website (by its personal authoring of certain pages within this website) does intend to reflect only the personal thoughts, reflections, views and/or opinions of the owner, constructor and producer of this site. 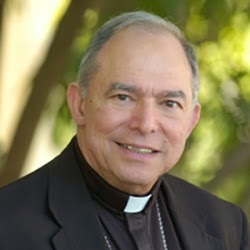 Such personal authorings of certain pages are not intended to publicly reflect the personal thoughts, reflections, views and/or opinions of the Houma-Thibodaux Diocese and/or any other Louisiana diocese and/or any other website of interest and/or any other person anywhere in the whole-wide-world. The owners of the websites/pages linked into by this website will author and publish what they want, when they want to, and will in-fact speak for themselves by what they personally author and publish on their own websites. 1. To unite and network the Roman Catholic Church of Louisiana to evangelize all others throughout the world during this New Millenium and with new available technologies - not to divide the Church Militant. Additionally, to do the same in conjunction with all other Faithful Christians - first in Louisiana. 2. To always be faithful to the Truth that is Jesus Christ. 3. To help spread the teachings of the Roman Catholic Church to all visitors of this site. Anything on this page that may inadvertently contradict and/or hinder that mission, intention or purpose is absolutely unintended and willingly renounced. "In other words, sorry about that!" Should one be interested in any certain event, before attending, please do your own due diligence as to determine whether that certain event remains scheduled as to the time and date publicized on this site. At times, organizers will notify this site when an event is scheduled and then at other times (with no notice to this website whatsoever) cancel that certain event. Especially if it is out of your immediate area. Check it out! Should your website and/or social media link be shown on this site so that the visitor can gather more information about your mission and/or purpose, please consider keeping it CURRENT with information that is timely. Visitors will go to your website/page in an effort to get timely information that is important to them. Do not disappoint them. Fr. Duane Stenzel, OFM provided spiritual direction to the publisher of this website. Fr. Duane died and was buried in Alexandria in 2011. Through memories and inspirations, he still inspires and directs.